We will advocate passionately and vigorously for you. No immigration case is too complex, too small, or too insignificant for us to handle. 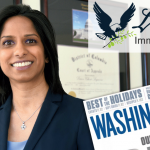 Legacy Immigration Named Among Top Lawyers In Washington, D.C.
At Legacy Immigration, we believe that you should have the opportunity to make your American Dream come true. Our legacy is to help you make that dream a reality. Legacy Immigration has maintained a 100% approval rate in family-sponsored petitions and employer-sponsored petitions filed on behalf of our clients before U.S. Citizenship and Immigration Services. Legacy Immigration is a law firm that represents foreign nationals from all walks of life in their pursuit of the American Dream. Having represented companies and foreign nationals located domestically and internationally, Legacy Immigration’s tireless and effective legal representation has resulted in issuance of immigrant and nonimmigrant visas, lawful permanent residence, naturalization, and authorized status for foreign nationals of all backgrounds. At Legacy Immigration, we will advocate passionately and vigorously for you. No immigration case is too complex, too small, or too insignificant for us to handle. We devote equal time and attention to each client’s case ensuring that every matter is handled meticulously, methodically, and thoroughly. We give clients the confidence they need to feel that they are in safe hands so they can sleep soundly at night instead of worrying about the status of their case. For more complex matters, we pull out all of the stops and go the extra mile to do what it takes to win your case. Fueled by the belief in equal rights and opportunities, we confront stand steadfast in the face of governmental adversity instead of shying away from it. 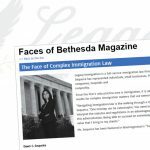 If you need legal representation for immigration cases look no further, there are a lot of immigration attorneys out there, but it’s a very rare thing to find one with actual heart and who will to help, not only for monetary gain, but because they believe in what they do and really care for their clients. Dawn Sequeira is one of those rare attorneys. She will go the extra mile and knows her stuff. If you really want your case to succeed and be 100% sure that your lawyer is doing absolutely everything possible to help you then you need Dawn. We’ve met a lot of immigration lawyers along the way and Ms Sequeira is hands down the best, most honest and hardest working immigration attorney we could’ve found. Dawn C. Sequeira is an excellent lawyer. She handled my lawful permanent residence paperwork in a way that really made me feel comfortable and brought me peace through a very stressful time. She is on top of things and she always answered my questions in a timely manner. I highly recommend her if you want to make sure everything goes perfectly. How Can We Help You to Achieve the American Dream? We want to help you navigate through the complex field of Immigration Law. Contact our office today. Please complete the form or call 301-527-1442 to schedule a consultation.